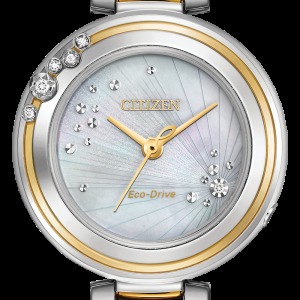 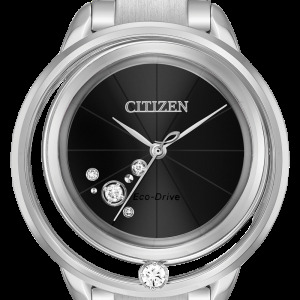 Citizen Silhouette Crystal, fashionable, precise and powered by light, creates an appeal unlike any other decorated with Swarovski® crystals. 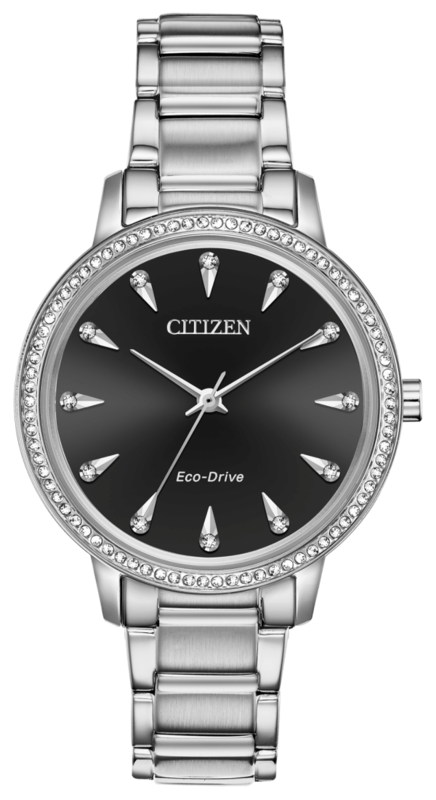 Featured in stainless steel with a contrasting black dial. 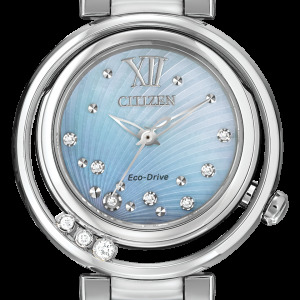 Featuring our Eco-Drive technology – powered by light, never needs a battery.